Join us for a conversation on leadership and innovation with Zillow CEO Spencer Rascoff '97 and Aran Khanna '16. Attendees will have networking opportunities with our distinguished speakers and the board of the Harvard Club of Seattle. This event will serve as our Annual Meeting, and we will review the year's programs, honor our Volunteer of the Year, and elect new board members and officers. Click to contact us about event sponsorship. For best price, purchase or renew membership and then click "Buy" next to your preferred ticket price. **Membership is free for current students and most recent grads (2016 or 2017). Sorry, no refunds after June 20. If you are having trouble with your Harvard Key or your membership, or if you prefer to pay by check, please email us. President's Circle: Sit at the Harvard Club president's table with Spencer Rascoff. Cost over $85 is considered a donation. The Harvard Club of Seattle is a 501(c)(3) organization, and donations are tax deductible to the extent allowed by law. VIP Circle: Sit at Aran Khanna's table. Cost over $85 is considered a donation. The Harvard Club of Seattle is a 501(c)(3) organization, and donations are tax deductible to the extent allowed by law. Sponsor: If you or your organization would like to help underwrite this event, please contact Gautham Reddy '85, president of the Harvard Club. The Harvard Club of Seattle is a 501(c)(3) organization, and donations are tax deductible to the extent allowed by law. Dietary restrictions: In your RSVP, please indicate in the comments section whether you have dietary restrictions or prefer a vegetarian or vegan entree. If you did not indicate dietary restrictions in your RSVP, please contact us. Deadline for indicating dietary restrictions: June 20. The Seattle Tennis Club is accessible. Click here for directions. Street parking is free. Public transportation: Take Metro bus 11 towards Madison Park, exiting at E Madison Street and 38th Avenue E. The Seattle Tennis Club is an 8 minute walk from the bus stop. Please contact Gautham Reddy '85, President, Harvard Club of Seattle. 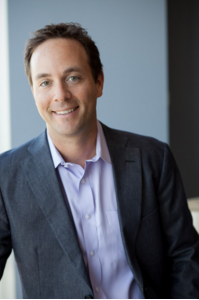 Spencer Rascoff '97 is the chief executive officer of Zillow Group, where he oversees the company’s portfolio of real estate and home-related brands, including consumer brands Zillow, Trulia, StreetEasy, HotPads and Naked Apartments. Spencer helped start Zillow in 2005, and served in various roles including chief operating officer, until his appointment to CEO in 2010. Since becoming CEO, Spencer has led Zillow through its 2011 IPO and 13 acquisitions. In 2015, Spencer co-wrote and published his first book, the New York Times Best Seller Zillow Talk: Rewriting the Rules of Real Estate. Spencer is also the host of “Office Hours,” a monthly podcast featuring candid conversations between prominent executives on leadership and management topics. Fortune and Forbes both listed Spencer as one of America’s most powerful CEOs under 40 and he is a recipient of Ernst and Young’s National Entrepreneur of the Year Award. In 2017, Spencer was named Swanepoel’s most powerful person in real estate. Spencer was also awarded Glassdoor’s Highest Rated CEO recognition for 2016. Before joining Zillow, Spencer was vice president of lodging for Expedia. In 1999, at the age of 24, Spencer co-founded Hotwire.com, a leading Internet travel company, which a few years later he sold to InterActiveCorp (the parent company of Expedia). Before his consumer web career, Spencer was in investment banking and private equity. He worked in the mergers and acquisitions group at Goldman Sachs and as an associate at TPG Capital. Spencer is on the board of directors of TripAdvisor. He is also a member of the Young Presidents’ Organization and serves on the advisory board of Seattle Children’s Hospital Research Institute. Spencer and his wife, Dr. Nanci Echeverri Rascoff '97, have three young children. 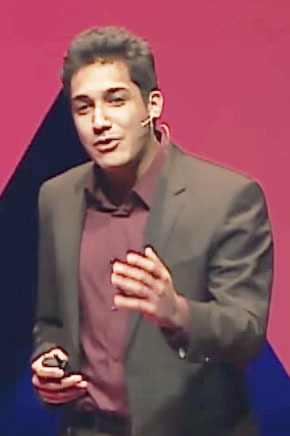 Aran Khanna '16 focuses on understanding the consequences of the increasing role of technology in our lives, particularly in the realm of personal privacy. Aran builds tools that empower users to discover for themselves the consequences of the digital footprint they are leaving. Most notably, his Marauders Map tool demonstrated the dangers of default location sharing in Facebook Messenger, which spurred Facebook to remove the feature from Messenger. It also prompted Facebook to rescind Aran’s summer internship offer, raising questions about how social media companies respond to privacy issues. Aran has worked closely with Latanya Sweeney, formerly a Federal Trade Commission Chief Technology Officer and currently a professor with Harvard's Institute for Quantitative Social Science, to publish papers on his work in the journal Technology Science. Aran remains an avid technology blogger and speaker, writing for The Huffington Post, Business Insider and Time.com, as well as giving a TED talk on his work. Most recently, Aran has joined Amazon Web Service's new Deep Learning Team, working under professors Alex Smola and Anima Anandkumar to publish novel open-source machine learning research and infrastructure. Aran is a Seattle native who grew up in Bellevue and attended Lakeside School before entering Harvard College.